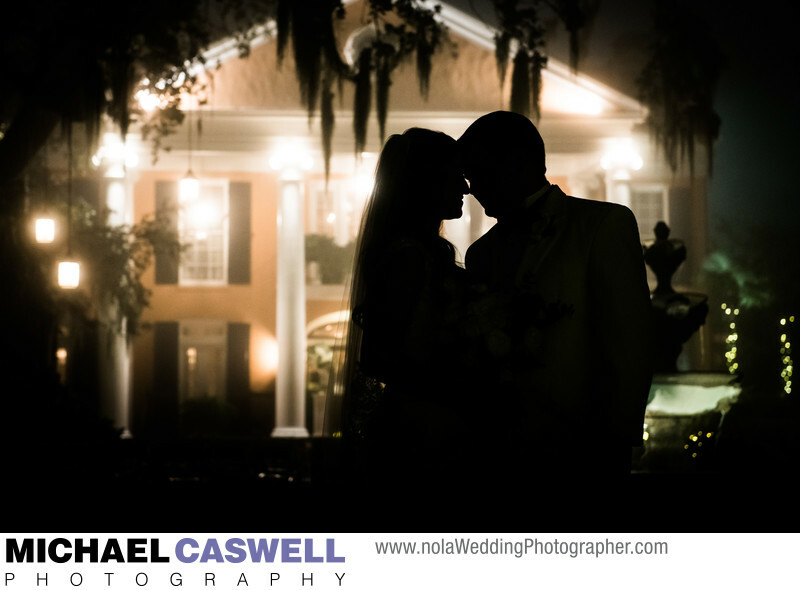 This romantic shot was captured during this couple's wedding reception at Southern Oaks Plantation in New Orleans. It was an eerily foggy December night, which presented some distinct challenges when photographing the ceremony, but provided a perfect and unique enhancement to the background for silhouetting the bride and groom against the warmly lit house. When a couple wants to sneak out of the reception for a bit to do a quick portrait session, I try to capture good variety of photographs, some very straightforward and traditional shots, and when the situation presents itself, other more artistic or dramatic images such as this one. Location: Southern Oaks Plantation, New Orleans, LA.